Imagine packing your bags for a hiking trip with your loved ones. Halfway through the journey, you hear a ripping sound. In a few seconds, your belongings are scattered all over the rough path. It’s not a pretty sight, it ruins your day and makes it difficult for you to carry your stuff. This is why, as a hiker, you should know the different types of backpacks to prevent such mishaps from happening. Picking a backpack can be quite challenging. You have a plethora of options to select from, and it can be confusing whether you should get a heavy duty or a lightweight backpack, or whether you need a day pack or a weekend pack. Just before you pick a backpack, try it on, and walk around with it. But first you should be aware of the different kinds that are out there. These backpacks are those that are specifically used for hiking and camping. They can be easily recognized by their rigid aluminium metal frame design. The hiking bags are typically heavy duty backpacks, and are characterized by their high-quality material with the maximum comfort they offer during camping trips. See our article comparing external and internal frame backpack for your reference. These backpacks are mostly used for single-day climbs, hikes, camping trips, bike rides or runs. Generally, daypacks are backless or soft-backed in nature. They are also lightweight and meant specifically for light loads. Good daypacks are built with hip belts to prevent any shifting during a hike. Since the internal frames are narrower with a closer fitting, they are ideal for any type of dynamic activity such as skiing, climbing, or bushwhacking. During such sports, you need a good arm clearance as well as a snug center of balance. They are used for larger, and heavier loads. The main role of this frame is to ease weight transfer to your hip region, to make your load more bearable. These bags are more traditional for people who don’t want to be a part of the oversaturated style that is available on the market. You can revel in this clean, classic, unfussy and smart backpack that will withstand any era. The canvas backpack flaunts a leather flap and a strap-and-notch closure. Designed with a great exterior storage option, a strong canvas coating and open pockets, the canvas backpack is often labeled as a quintessential backpack for all city dwellers. It is also made with exceptional water-repellent poly lining and material. The canvas backpack has its weight evenly distributed with its padded shoulder straps to ease the shoulders and prevent backaches. Some backpacks boast of a front flap which opens and reveals main pockets that carry all your important folders and documents. Some also feature special zippered sections for keeping your gadgets such as your laptop and iPad safe from damage. Whether you’re a student or just a weekend hiker, the canvas backpack has the style and versatility which embraces the fun and glamorous urban life. What’s the best backpack to purchase? As there is no specific model for everybody, it all depends on what activity you’ll need it for, where you are going, and how long the trip will last. Knowing these will help you to know how much you can carry. Furthermore, you’ll need a backpack that fits with a suspension system that handles the weight you put in it. Backpacks in the market range from the small daypacks to the full-size models built for many months on the Appalachian Path. 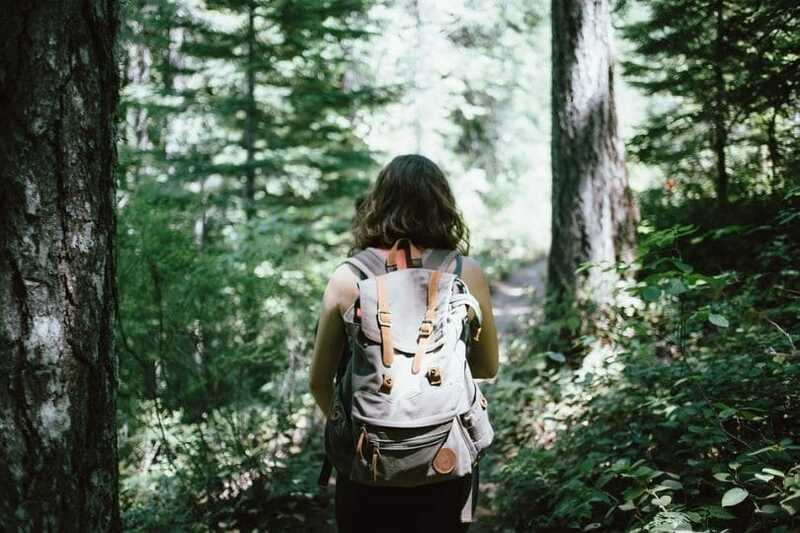 Luckily for your back, backpacks have been reducing in size over the past twenty years, due to advancements in camping gear. The backpack volume is how much space the pack has when measured in liters. Which backpack volume is ideal for you? It really depends on the use and what you intend to carry. A backpack for one overnight trip will require about 30 to 50 liters. But it depends on whether you are a traditional backpacker or a minimalist. Minimalist Backpacking: The minimalist backpacker needs the lightest and most compact gear. They would rather sacrifice things that others might see as necessities than carry large items on their back. 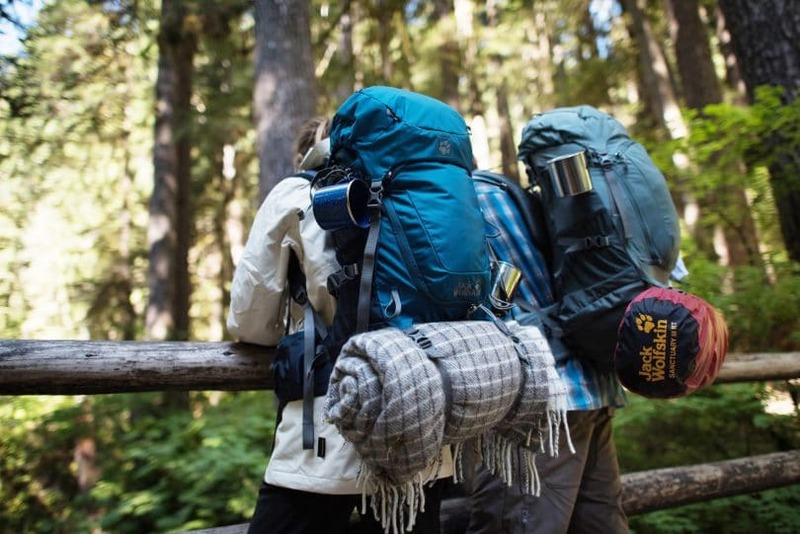 Traditional Backpacking: If you are a traditional backpacker who always takes a sufficient amount of gear, pick a pack that is on the larger end of the scale. During winter, you will need a larger backpack as you’ll have to carry extra clothes, a heavier tent and a warmer sleeping bag. For those who will be bringing their kids, they should plan to carry some gear and food for the little ones. When you stay out for a longer time, you will need more fuel and food. Just in case the rain meets you outside, you will also need some extra clothes to change. Other than that, you’ll need to bring along a sleeping bag, a tent, a sleeping pad, and a stove, irrespective of how long you’ll be camping. Any backpack you select needs to fit your torso length. And to determine this size, try to reach behind your neck, and bend your head forward. When you do so, you will locate the C7 vertebra. This bone sticks out on your upper spine. After that, find your iliac crest. This part is found at the top of your hip. See also: Best Osprey Backpack: Which Pack Has Your Back? Finally, get someone to take a measuring tape and measure the distance from your C7 vertebra to the point in your back that is on the side of the iliac crest. The distance is the torso length. The backpack can fit correctly when the distance from the shoulder strap top to the hip belt accommodates the torso length. Remember that the torso length isn’t the same as the height of the back. A tall individual can have a relatively short torso, and a short person can have a long torso. There isn’t any general rule about torso size. Some backpacks also make provision for an adjustable torso length. The distance between the bag’s shoulder straps and hip belt can be adjusted. If you are carrying 40 pounds with a fragile hip belt, the weight will fall on your shoulders alone. After some time, you’ll start to feel the pain. How can you avoid this? Simply understand all the different components before choosing one. Hip Belt: When you’re carrying heavy items, the pack’s weight must be supported by the pack’s hip belt, at least 80%. Bigger backpacks built for long-distance hikes need a heavily padded, rigid hip belt that can comfortably wrap around the hips. The smaller packs for lighter loads often less padding in their hip belts. To comfortably carry the weight, a backpack’s hip belt has to be balanced on the hip bone and not the waist. Once this hip belt is tightened, there needs to be a gap of about three to six inches between over the buckle area. Where the gap is too tiny or too big, you need a different hip belt or pack. Shoulder Straps: Good shoulder straps should curve and conform to the body shape of the wearer. The padding mustn’t be very thick, as most of the pack’s weight should be transmitted to the hip belt. It should also be devoid of pinching and chafing. To know how it should fit, stand sideways and look in a mirror while wearing the pack. The straps need to conform to the shoulder top, leaving little or no space between your body and the pack. The shoulder strap padding in the front should also end about two to three inches below your armpits. Where the padding sits below or above your armpits, they are too short. You need a different size of straps or another pack entirely. Load-Lifter Strap: This strap attaches the backpack’s top edge to the shoulder straps upper portion. Tweaking them allows the wearer to lean the backpack away or toward your upper body while the pack balances on your hips. In a mirror, look sideways. The load straps should form a 45° angle which will extend to the top region of the pack. When the angle is off, you’ll need to go for a different pack or adjust the length of the torso. Sternum Strap: This strap is adjustable and is located over the sternum and links the shoulder straps together. Back Panel: This portion presses against the back. Back panels must be padded to prevent the bag contents from poking you. However, it has a drawback; it can cause the wearer to sweat. To reduce this, some backpacks are built within air channels to let in some airflow. Backpack frame: The internal frame backpack offers rigidity while transferring the weight onto your hips. Frames usually consist of 2 flat bars or aluminum, and they run parallel to each other beneath the back panel. Backpacks have various storage compartments, sleeves and pockets. Some people like a guileless, streamlined pack with just one main compartment. Others prefer multiple places for stashing small items like food, phones, water bottle, and others. Main Compartment: This part is where your stove, food, tent, fuel, and other gears are stored. Most big backpacks are accessed from the top. Other travel packs are panel loaders, and they provide access from the pack’s front instead. Sleeping Bag Compartment: Sleeping bags are stored on the bottom side of the backpack. Most packs have a separate sleeping bag compartment apart from the main space. Front Pockets: some packs have a big front pocket and a zippered closure while others have a “shovel” pocket and a bulky jacket. Top Lid: it keeps rain from getting into the main compartment. Pockets and Side Sleeves: coupled with side compression straps, the side sleeves have the ability to hold tent poles. Bigger sleeves can hold water bottles as well. Hip Belt Pockets: they keep small essentials within reach. There are some kinds of backpacks you must stay away from especially when you want to go on a hike. Backpacks without supports: buying a backpack that doesn’t have built-in supports is a terrible idea. If you are planning a quick trip with a pack like this, then you can go right ahead. But if you need to leave home for a long time and will need to carry emergency supplies, then you are making the wrong choice. Your whole body will suffer especially if you aren’t in shape or used to carrying weightier loads for longer periods. Oversized Backpacks: an overloaded backpack is a terrible idea. You shouldn’t be worried about packing everything your hands can reach. Organizing the bag should be a priority, as this will make your pack lightweight and easier to take along. The extra items hanging off the pack can also easily be caught up in trees or other pointy and sharp objects. It is recommended that a hiker carries only carry 20% to 25% of the total body weight on the back. This will reduce the risk of body pains after a trip. Cheap backpacks: these are the worst and must be avoided at all costs. Stay away from cheap backpacks such as the basic school bags which are often found at departmental stores. Such backpacks aren’t made to last for long. They also do not offer any kind of stability or support. After a while, the pack will begin to fall apart especially when you are always carrying heavy loads. Also, the packs don’t usually have many compartments to organize items. Store bug out bags: buying a store bug out bag is the easiest thing to do, but it isn’t a good idea. This is because no store bug out bag will completely cater to the needs of your family. On the whole, you can build your bug out bag and reduce your expenditure. Some stores carry items for the bag like a wide assortment of patches, Band-Aids, slings, safety pin, arm wraps, needles, alcohol wipes, and peroxide at a cheaper rate. During a hiking trip, one of the most important things to pay attention to is your camping gear. Your backpack seems like a simple camping gear to carry your essential during the trip, but it’s more complicated than that. You need to select the right type of pack for your hiking trip. You can opt for the hiking backpack, daypacks, internal frame packs and canvas packs. Also, you need to read on our interesting article on how to choose the top backpacking brands for more information. Before picking out a pack for your trip, you need to consider the volume of the bag and the length of your trip. This way, you’ll get a bag that contains all your supplies for the trip. You also need to measure your torso to get a well-fitted pack. This will also prevent any discomfort from hiking with an ill-fitting pack. Planning a much further trip? See our earlier article on how to select the top backpacks for Europe for reference. Your comments and recommendations are appreciated, so please share them with us.